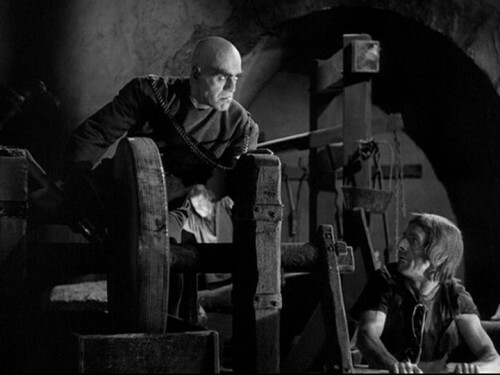 Rowland V. Lee followed up his successful SON OF FRANKENSTEIN with TOWER OF LONDON, reuniting with stars Basil Rathbone and Boris Karloff in a take on the story of Richard III that mixes historical drama with horror. This “Game of Thrones” is filled with political machinations, royal court intrigue, and murder most foul as the crook backed Richard kills his way to the top of England’s heap, aided by his chief executioner Mord. You won’t find any Shakespeare here or historical accuracy, but Lee and his screenwriter brother Richard N. Lee craft a tale of bad intentions to capitalize on the renewed interest in the horror genre. Rathbone exudes evil from every pore as Richard, the Duke of Gloucester, who along with his brother King Edward VI, has seized power by imprisoning the feeble-minded Henry IV. 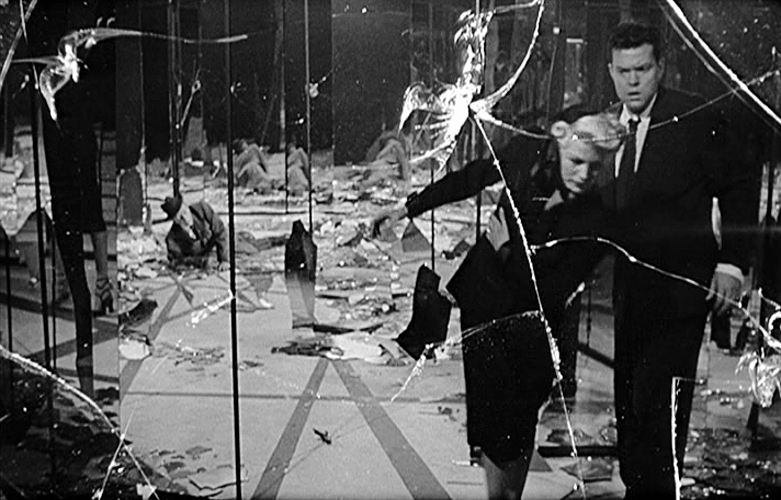 But there are six heirs standing in Richard’s way to succession, and he keeps figurines of his enemies in a little dollhouse, tossing them into the flames as they fall one by one. Basil plays Richard as a coldly calculating killer, using his power and influence to reap the bounty of his murderous objective. One of the screen’s greatest villains, Rathbone’s chillingly sinister portrayal makes him a human monster who’ll stop at nothing, including ordering the murders of his young nephews, to quench his thirst for power. 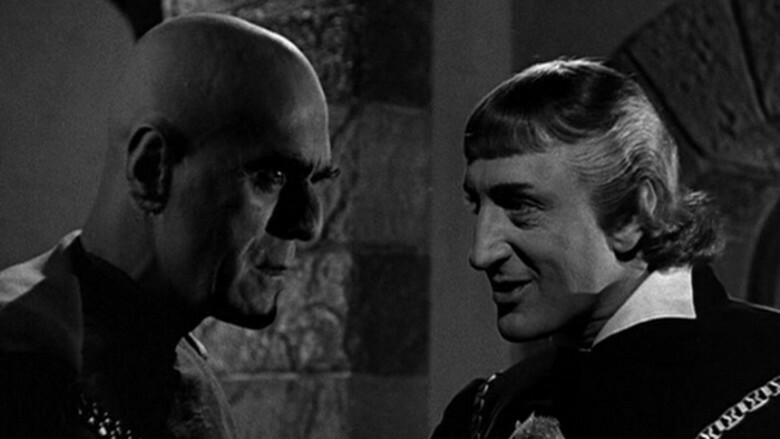 Karloff is equally as frightening as Mord, the bald, club footed executioner who worships Richard as a God, and delights in torture and killing. We first lay eyes on him in his torture chamber sharpening his axe, a raven perched on his shoulder, cruelly denying a chained prisoner water. 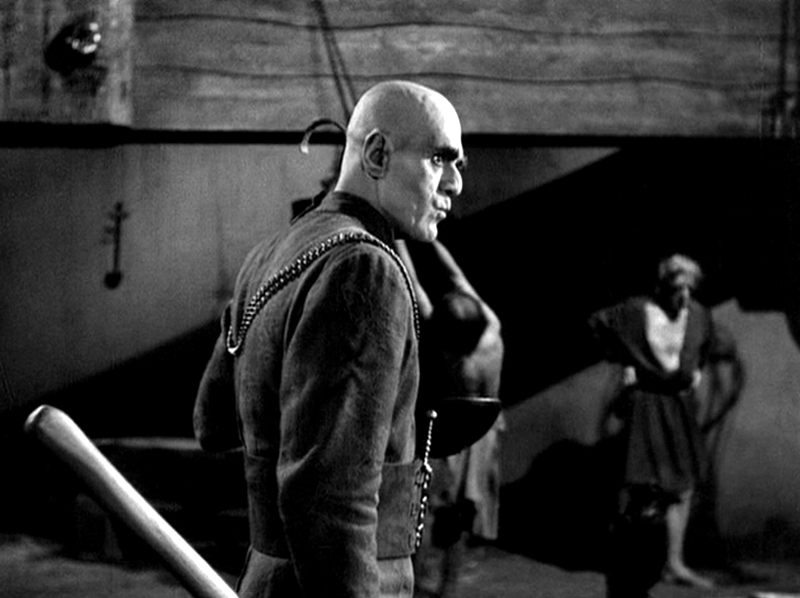 Mord lives only to serve and kill, and Karloff plays him unsympathetically, unlike some of his horror characterizations. He crushes a young chimney sweep under his clubbed foot, thrusts a dagger into the back of the pathetic Henry IV, and carries out the murders of the child princes without remorse. Karloff, under Jack Pierce’s makeup, added another brutish portrait to his growing Rogue’s Gallery with Mord. 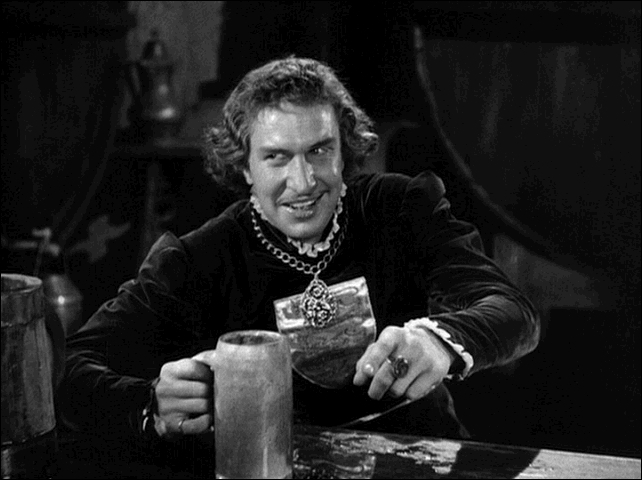 My favorite scene involves another horror star, young Vincent Price in his third film, playing the effeminate Duke of Clarence. Price, who made his film debut in Lee’s 1938 comedy SERVICE DE LUXE, gets a tutorial in terror sharing a scene with Boris and Basil when, after Clarence is charged with treason and sent to the tower, he engages in a drinking duel with Richard. Seeming to win, the drunken Duke is overtaken by Richard who, along with Mord, drowns him in a vat of wine (“He asked for malmsey”, Richard coolly states). Price, Karloff, and Rathbone would be reunited a quarter century later (along with Peter Lorre) for a horror of another kind, THE COMEDY OF TERRORS . The large cast includes Ian Hunter as the equally despicable Edward VI, Barbara O’Neil as his wife Elyzabeth, John Sutton and Nan Grey as the young lovers John Wyatt and Lady Alice, and Leo G. Carroll as Lord Hastings. Familiar Faces involved are Lionel Belmore, Stanley Blystone, Ernest Cossart, Rose Hobart , Miles Mander, Michael Mark, John Roister (Rathbone’s son), and Walter Tetley. 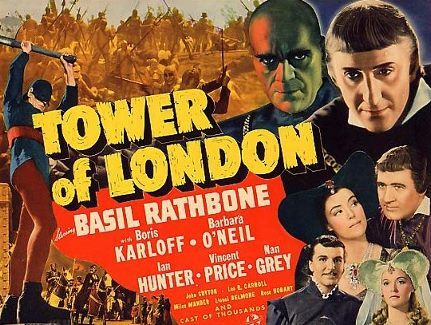 Horror buffs carp that TOWER OF LONDON falls more on the historical drama side than horror, but the performances of Rathbone and Karloff (and Price, to a certain extent) make it a worthy entry in the Universal Horror canon. They may not be Count Dracula and Frankenstein’s Monster , but Richard III and Mord certainly belong alongside them. Gary you’ve gone bonkers, I can’t keep up lol. Great work sir, as always. Yet another I’ve not seen. I almost didn’t recognise Mr Price for a moment. He looks so youthful and happy with a pint of beer in his hand. Oh, there’s much more to come, Wolfie… stay tuned! This one has sadly eluded me for so long. I really want to see it. What a cast! It’s a pretty great movie, Maddy, hope you catch it soon!